Pharmacists may soon be posed to take on new roles within the growing landscape of animal health. Pharmacy owners like to focus on the health of their patients,business coaches help them focus on the health of their business. The DIR Fee Estimator tool uses claim detail in combination with DIR rates from signed contracts between Elevate Provider Network and pharmacy benefit managers. 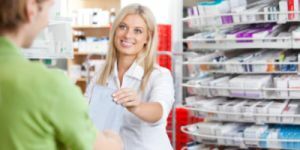 How Does the Pharmacy Ownership Program Help Independent Pharmacy Owners? Jennifer Zilka, Vice President of Business Coaching and Pharmacy Ownership for Good Neighbor Pharmacy, talks about how the pharmacy ownership program helps independent pharmacy owners maximize their business. How Do Business Coaches Work with Pharmacy Owners? Jennifer Zilka, Vice President of Business Coaching and Pharmacy Ownership for Good Neighbor Pharmacy, discusses how business coaches work with pharmacy owners to identify their needs. Jennifer Zilka, Vice President of Business Coaching and Pharmacy Ownership for Good Neighbor pharmacy, speaks about the growth and evolution of the Business Coaching Program. A key factor in addressing these traceability issues, Horvath said, has been the continuous improvement program, implemented 2 years ago at AmerisourceBergen and developed with the goal to enhance customer experience. “Don’t be afraid to reach out and talk to your elected officials, whether on a federal, local or state level,” Boehner said. How Has Independent Pharmacy Changed in Recent Years? Charlie Le Bon, the Director of Pharmacy Ownership for AmerisourceBergen, discusses recent changs in the pharmacy landscape. A vast buyer network can assist with purchasing community pharmacies. Only a small portion of pharmacists are politically involved. Each finalist was chosen out of 50 nominees. The challenges are well-documented, but additional acccess to data is assisting the independent pharmacist. What Does the Marketplace Look Like for Pharmacy Owners Looking to Buy Independent Pharmacies? 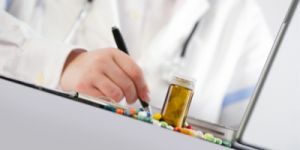 Charlie Le Bon, who is Director of Pharmacy Ownership with AmerisourceBergen, shares his insights on the current state of the pharmacy business marketplace. Since the 2016 launch of AmerisourceBergen’s ABC Order, many within the organization have come to see the ordering platform as the first step in a larger effort to improve the experience of independent pharmacists. Throughout his career, Brian Nightengale, PhD, has bared witness to many of the changes and challenges experienced by independent pharmacists. As independent pharmacy continues to evolve, pharmacy owners face both a potential for growth and obstacles to overcome to enable that growth. Independent pharmacists have emerged as trusted advisors who play an increasingly important role in community care nationwide. According to information on the conference website, ThoughtSpot gives independent community pharmacies practical information in growing their business goals and revenue through education sessions, while also providing opportunities for exclusive deals on product purchases at the show.